Today I am interviewing Jennifer Johnson-Blalock of the Liza Dawson Agency. Jennifer joined the Liza Dawson Agency in 2015 after having worked as an agent's assistant at Trident Media Group and interning at LDA. Jennifer presents prescriptive and narrative nonfiction as well as memoirs. She is seeking writers with strong platforms with unique stories to explore larger issues. In fiction, Jennifer is looking for upmarket commercial fiction including thrillers and mysteries, women's fiction, contemporary romance, young adult, and middle grade. Find out more about Jennifer Johnson-Blalock here and check out her Manuscript Wishlist. Alex: As an agent you probably get flooded with queries. What is one thing that makes a query really stand out to you? Jennifer: At this point, I've put so much of myself and my taste out in the world--on my website, MSWL, Twitter, interviews like this one, that I think it's very easy to target what I'm looking for. I'm always drawn to queries that open with the specific reason why the writer is querying me. To expand on that, honesty works for me. I've had queries say, "I'm not sure if this is what you're looking for because of X, but I thought this would appeal to you because of Y." That's completely fair and definitely gets my attention. And maybe you're not sure if your book is right for me, but you like one of my client's books or my tweets about The Bachelor--it's great to note that, too. Just something that demonstrates you've put thought into your decision to query. In the query itself, you may have seen I'm a big fan of comp titles. I have some advice on those here. But telling me what your book is like will really help me to understand it, and if it's a comp I enjoyed, I'll usually want to see more. Alex: You probably get pitched at conferences and workshops all the time. What advice would you give authors when it comes to pitching in person? What is something that would make this process more helpful to you? Jennifer: My main piece of advice is just to remember that the agent you're meeting with is a human--we're also nervous and excited and overstimulated and tired. Figure out what you want to say, and practice your pitch, but know that I'm not sitting across the table judging you. I'm hoping you have something I want to see. And if you don't, I'm really most concerned with making sure the process is helpful for YOU, the writer. Particularly if it's a longer (10-15 minute) pitch session, come prepared with questions about the industry, the query process, etc. Some agents, including myself, are even willing to take a quick look at your query letter and provide feedback in these sessions. We really want our meeting to be beneficial! Alex: What jumped out to me on your Manuscript Wish List is that in nonfiction you are looking for unique stories that explore larger issues. What are some issues you are especially interested and wish would pop into your inbox? Jennifer: Honestly, I'm interested in so many things. If you look at my profile on the Liza Dawson Associates website, you'll see my interests range from the arts to psychology and sociology to law to liberal politics. I think more important than the topic for me is the form. I get a lot of memoir queries, and that's just a tough sell these days without a huge platform. What I love are stories that incorporate personal anecdotes but then go beyond them to investigate the bigger story and craft a more narrative tale. For instance, I read a proposal recently for a memoir that was lovely, but it would be a million times more marketable if it were blown up, and the author talked to other people in similar situations, people of influence in the field, etc. I really want books that take a personal story and then go beyond it. Alex: As a feminist, what are some feminist issues that you feel are currently underrepresented in both fiction and nonfiction? Jennifer: With fiction especially, I think there's a definite lack of choices being portrayed. Most books I read and receive queries for are about women who are married with kids or are trying to be married with kids. And it's rare that a woman becomes pregnant and doesn't have the baby--other options often aren't even considered. I'd really love to see a broader range of lifestyles. And even with the more conventional paths, it would be interesting to see those framed as choices that are given real consideration--Why do I want to marry this person? Why do I want to stay with him (or her--there could definitely be more diversity in women's fiction)? What will I be giving up by having children? Why are children more important to me than work? I think more and more women are examining their choices at a conscious level, and I want to see that reflected in books. With both fiction and nonfiction, I think intersectionality is always needed. Feminism should empower all women, not just the white and privileged, and more books that reflect different feminist perspectives can only help the conversation and the movement to evolve. Alex: When it comes to recent feminist literature, I absolutely love Kameron Hurley's collection of essays, THE GEEK FEMINIST REVOLUTION. What is one of your favorite recent reads that explores feminism? Jennifer: YAY for Kameron Hurley, a completely amazing LDA client! I'm in the midst of reading two books that I absolutely love, which is perhaps why I'm reading them very slowly. The first is Rebecca Traister's ALL THE SINGLE LADIES. I think it's a brilliant example of my above point about personal stories that explore larger issues, and it's really just ringing true for me in terms of conversations I've had with friends recently while also adding historical depth. I'm also loving SELFISH, SHALLOW, AND SELF-ABSORBED: Sixteen Writers on the Decision Not to Have Kids, edited by Meghan Daum. It's so thoughtful, and it's a decision that I'm personally grappling with and one that I think deserves more consideration in literature. Alex: Building an effective author platform is crucial for nonfiction and fiction authors alike. What do you feel is the most important when authors work on building their platform. What advice do you have for authors as they work to establish their brand? Jennifer: To start, I think the question is slightly different for nonfiction and fiction authors. I expect a nonfiction author to have an established brand before she approaches me. Does she have a substantial social media following, a newsletter with a large subscription rate, a popular blog? Or does she have regular speaking engagements or teach courses--has she established herself as an authority in her field? Those are the questions publishers will be asking before they sign a nonfiction project. With fiction, a platform before publication isn't an imperative, but it's certainly a bonus. I think it's smart to have a basic author website so that when people Google you, something you control comes up. Twitter is a wonderful way to connect with both readers and other writers and people in the publishing community. A basic author Facebook page is beneficial. Beyond that, I think it depends on what you're writing and what platforms you're comfortable with. A DIY writer should probably have a strong Pinterest presence. Tumblr may be more important for YA writers than adult writers. Do what makes sense for you and your work, but yes, there should be a way for writers to connect with you! Alex: And finally, something completely unrelated to publishing, if you could have any superpower, what would it be? Mine would be time-turning, because 24 hours just aren't enough hours in a day. Jennifer: I've thought about this a lot to be honest, and I'd go with teleportation. I LOVE to travel--I have a seriously hard time staying in one place, really--but the actual getting from place to place part is the worst. If I could teleport, I would 100% be having dinner in the south of France tonight. Thank you, Jennifer for being here today! As always, cheers and happy writing! Stick to Times New Roman and double-spacing. Some say you're okay with Courier or Arial, but you really can't go wrong with basic Times New Roman for easy readability on a variety of devices. Standard 12 pt. font for all of your text. Use double-spaced and left-aligned text throughout your manuscript (except for your title on your title page, page headers (which should be right-aligned) and chapter titles (should be centered). Your right edge should be ragged, not justified. Your title page should include your name (and pseudonym, if applicable) and contact info (address, email, phone number) in the upper left corner. Left-align this information. About halfway down on your page, center your manuscript's title in all caps, then add a blank line and center "by" and your name. If you have an agent, include their name and contact information beneath your name (skip a line before). In the bottom left corner, include your manuscript's genre and word count (round to the next full thousand, for example: 89,675 words would be 90,000 words). Headers should be consistent and skip your title page. Your header should include page numbers, your manuscript's title, and your last name. 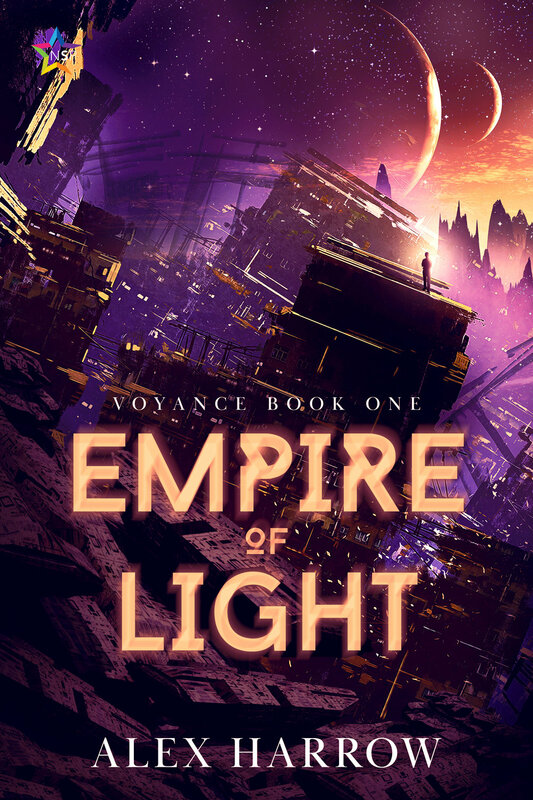 To format this, it's easiest to insert page numbers first (these should be in the upper right corner of your page), then click into your header by your page number and add your last name and your manuscript's title in all caps separated by slashes (Example: Harrow / EMPIRE OF LIGHT / 1). To exclude your title page (your headers should start where your manuscript does), click into "Header and Footer" in Word and check the "Different first page" box. Page breaks and clear chapter headings are your friend. Insert a page break after each chapter to make sure the next one starts on a new page. Chapters should start about 1/3 of a page down with the chapter title (or just CHAPTER ONE) in all caps and centered. Add a blank line before your chapter text starts. Use 1" margins, automatic indentation and get rid of extra spaces between paragraphs. Under "Format" and "Document", make sure your margins are set to 1" on each side (left, right, top, bottom). Sometimes MS Word likes to default to 1.25" on the left and right, but you can easily change this by selecting 1" margins as your default. The first line of each paragraph should be indented by 0.5 inches, which MS Word usually does automatically. To eliminate extra spaces between paragraphs, go to "Format" and "Paragraph" and check the "Don't add space between paragraphs of the same style" box. Done! Pay attention to the little things. Like character spacing. You only need one space after a period. Two spaces are an ancient typewriter relic and computers mean we're so over that because now fonts auto-adjust, so please, if you have the two-spaces-after-a-period-habit, please, train yourself out of it. Mark scene breaks with a blank like an a centered # symbol. Italics are fine when needed. No need to underline anymore. Avoid formatting inconsistencies and screw-ups when pasting material into an email. When querying, most agents ask you to paste any sample material directly into your email. For that it's helpful to save your sample pages, synopsis, even your query as a .rtf file. That way you avoid your or your queried agent's email client displaying the format differently. Your query and synopsis should be single-spaced, 12 pt. Times New Roman, by the way. By the way, if you use Scrivener, it can export your manuscript already properly formatted and save you a lot of work, but I often tend to double-check that as well. It's a little thing compared to all of those edits you will have made before querying your manuscript, but paying attention to the little things is definitely worth it. Is Your Query Letter Ready for Submission? My awesome critique group, spearheaded by the amazing David R. Slayton, and with the input of some agents and editors put together this chart on how to check if your query is ready for submission. Don't cut corners. Trust the flowchart. Share as you see fit and spread the word.